Relate: I have five different alarms that go off every morning. No, seriously, I do. The first one is on my phone. It is the sound of water falling down a brook with harp music or some such nonsense playing in the background. It starts up very quietly and gradually picks up volume but never gets all that loud. Just when that alarm is timing out, my IPad will start beeping. That is loud and it is the traditional alarm beep that clocks have been using for as long as they have been running on electricity. It also doesn’t shut off. It just rings and rings and rings. Many mornings, like this morning, I will do my best to ignore it but it is just not possible. That is because six minutes after it has begun that Ipad seamlessly switches over to the third alarm. This one is dual pitched and slightly faster. It is also far more annoying. Usually, this alarm will finally drag me from my bed and with mutterings and mumblings no Christian should be using I head into the other room to shut it off and begin my day. All that takes place between 5:05 and 5:15ish in the morning. My goal is to spend a certain amount of time in prayer, reading, and memorization before I do anything else. A couple times a week those first three alarms are not enough and about ten after seven my phone begins blasting out alarm number four. If you jump to 1:47 in the music below, you can hear what my phone begins blaring out as loud as it can every morning at 7:08AM. This is the point of no return. When this alarm goes off I must get out of bed. I will still have adequate time for shortened prayer, to get ready, get my two cups of coffee, and make it to school on time. The problem is, sometimes (often) during that shortened prayer time, I still end up drifting back to sleep. So at 7:55AM the Imperial March makes an encore. Now, no matter where I am at and what I am doing, I need to grab my stuff, throw on my shoes, and head out the door. I say all this to illustrate the point that I am not a morning person. I am also an incredibly heavy sleeper. Even though I understand that certain things must take priority at the beginning of any spiritually healthy day, it is just so hard. I have been doing my best to maintain this discipline for a good twenty plus years now and still it is just so hard. Honestly, I don’t have any deep theological insights to share today. I don’t have any major profound truths like I do my level best to pull out of each days devotional reading. No. I just wanted to share a little bit of how I read this famous story. I might be wrong. I probably am wrong. But it is just how I see it. We often like to share how Jesus being fully human means He knows and can empathize with our deepest struggles. We often say this when talking about a major sickness or spiritual temptation, but to me it also means Jesus knows our small daily struggles that make up the stuff of life just as well. After all, being fully human means He wasn’t a morning person either. Cheerfulness and abundant energy before 10AM just is not human. He didn’t need to be bouncing with anticipation to be brimming with power. Even half asleep He could do the stuff of dreams. With eyes half shut He still performed a waking miracle. So He knows how me, just getting out of bed in the morning, is a waking miracle. I am so thankful that You have come and walked in the flesh among us. I am so grateful You had stuffy noses, gas problems, stubbed toes, and splinters. You know and can empathize with the big struggles that can make or break a life but also with the little struggles that season each and every one of my days. You know how often I fail to do right in so many of these small battles but still You love me. I am thankful that those words, “Peace, be still” still ring with power in every area of my life today. Great Read! I was captivated from beginning to end. It’s amazing how we can read the same scripture and God will reveal to us exactly what we need for our situation. The Word is powerful! I love your insight into this very familiar story. Many parts made me smile. No deep theological insights needed. It’s just a good story…. We never talk about Jesus the human with human issues like rumbly tummy, (it’s hard even to say this) gas and such… but good to know He really was just like us physically so we can stop thinking we can not ever be like Him so we have the excuse to not even try. I hate mornings as well. Thanks! One of the few things I hate more than mornings is missing them. Alarms… I hear you. It’s hard to get up when you think you might drift back to sleep. And that boat scene–Ha! Yup, that’s how I read it. Do we honestly think Jesus got fully awake to deal with this storm? Nah. Beejai, that alarms part was very interesting. Sounded like what I experience every morning too. Your perspective on the story is nice. Jesus was really tired and need sleep badly. 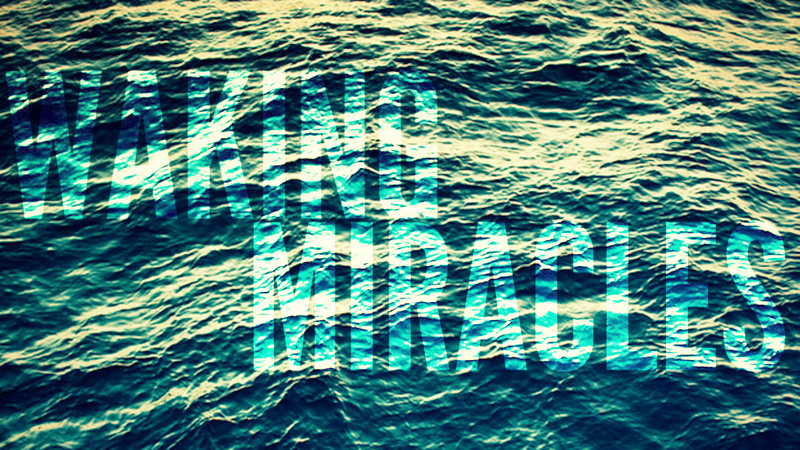 Most times we focus on the miracle of calming the storm or the disciples little faith. To think that Jesus was really in need of rest at that time is awesome. Don’t we all need some deep sleep sometimes? Our Intercessor in heaven knows our every struggle and weakness and prays for us – He sends the Holy Spirit to be with and in us. The trouble is we often forget He is with us and fail to draw on His strength.